The ServerTech Sentry family of Switched cabinet power distribution units (CDU) enables network access for remote power management to reboot servers and network gear individually or as a selected group. These Rack PDU’s enable you to control network access to remote sites and data center equipment with IP-based remote power management. Sentry Switched CDU products provide the capability to monitor and control cabinet power remotely for a date center or remote branch office. Additional solutions for the data center equipment cabinet can be integrated, including input current monitoring, pass-thru console port access and environmental monitoring. Receive SNMP alerts when power or environmental conditions exceed thresholds. Assign specific access rights to designated user groups or individuals. 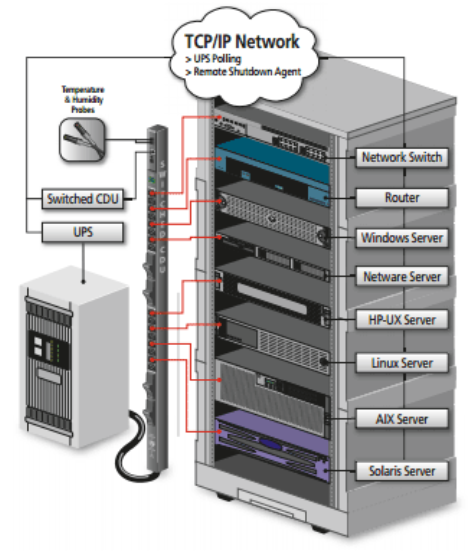 Server Technology is the first to offer datacenter managers the ability to automatically manage Switched CDU power outlets based on key operating parameters, including temperature, in-feed load, and UPS power status. Each outlet may be controlled by one or more of these parameters. Should the temperature or load current exceed defined thresholds or the UPS lose power and go onto battery, all or a portion of the loads may be automatically shed to ensure longer operational life of your critical devices. The Expansion Module CDU CX is ServerTech’s method for linking outlets on different power circuits together. A CX links to any Switched CDU, increasing the number of managed outlets on a single IP address. Control individual outlets on either the Switched CDU or CX expansion module, or control grouped outlets between the Switched CDU and CX with one command. 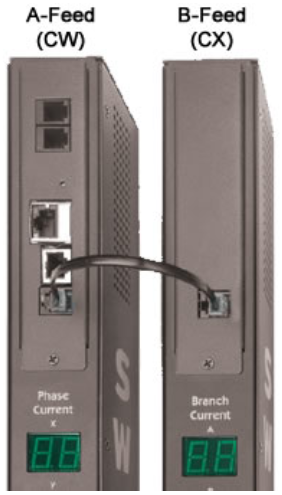 Each CX links to a Switched CDU, which contains both network and serial interfaces. When linked to a Switched CDU, the CX’s outlets are auto-discovered by the Switched CDU’s firmware, and all available outlets are viewable and controllable through the firmware. Each Expansion Module CDU can be a single-power feed horizontal enclosure or a single or dual-power feed zero-U enclosure.